The Center's archival repository holds the records of a number of defunct Ukrainian Orthodox parishes, both from the US as well as from German post-WWII displaced persons camps. The archival staff has now completed the processing of several of these collections, and they are now open to all interested researchers. The newly-opened collections include the records of parishes in the towns of Export and Jeannette in western Pennsylvania, the city of Willimantic, Connecticut, and the Fallingbostel and Munster Lager camps of northern Germany. 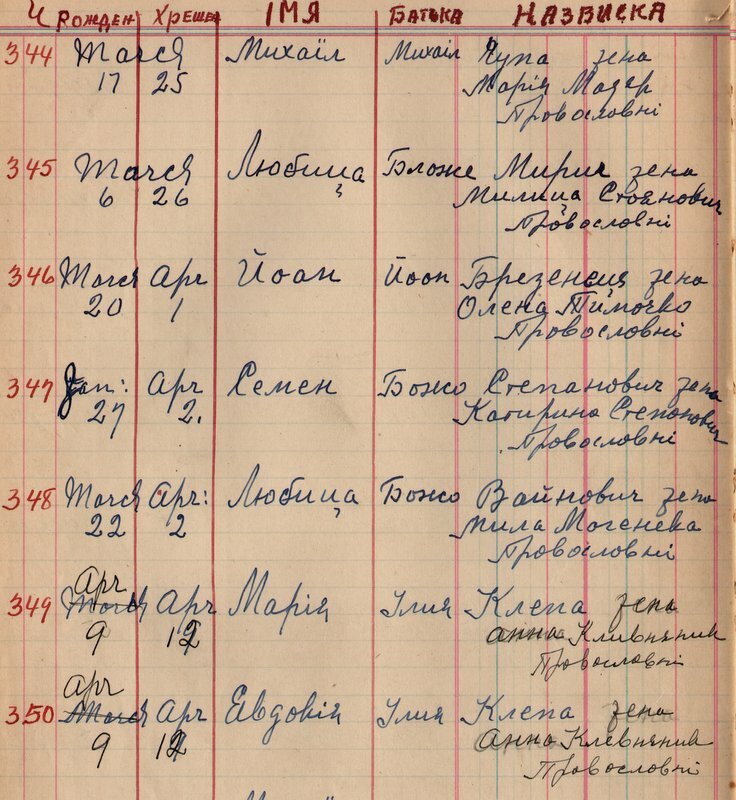 In addition to register books listing baptisms, marriages and funerals (which will be of obvious interest to genealogists), these collections also contain a variety of other materials, including legal documents, meeting minutes, and financial records that can reveal unexpected historical details. There are also some rather surprising items, such as the records of a census of the entire population of the Fallingbostel transit camp on July 14, 1950 (near the end of the DP era). If you have an interest in any of these collections, please consult the online finding aids, or contact the archival staff for more information or to arrange a visit.